Since Bo Burnham's Eighth Grade debuted this summer to near-unanimous critical acclaim, the Internet and Hollywood have been obsessed with its star, 15-year-old Elsie Fisher. She's already been cast in the new animated Addams Family film, and now it's been revealed that Fisher will find her next (non-cartoon) character in one of the Wiggins sisters in a new musical biopic about cult girl-band The Shaggs. 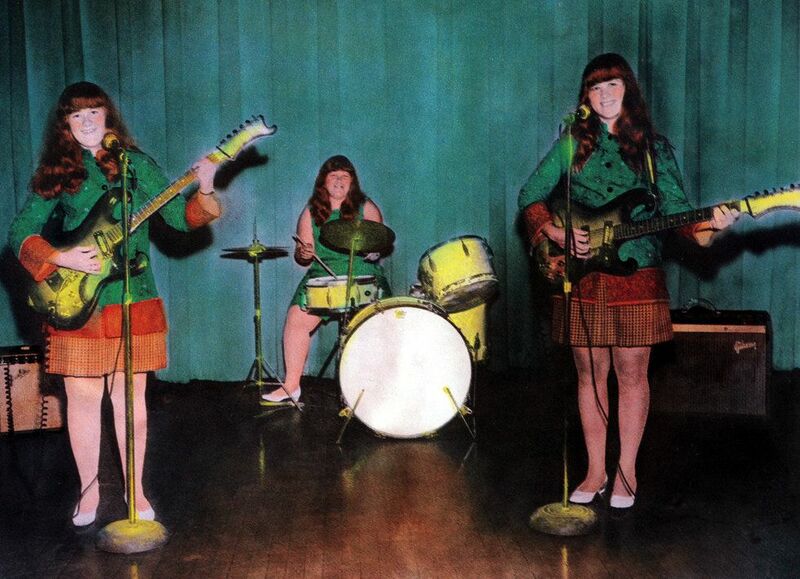 The Shaggs were a famously terrible New Hampshire rock band comprised of the three Wiggins sisters, whose disciplinarian father forced them to start the group after a palm reader predicted that his daughters would become stars. It's an offbeat, weirder-than-life story perfect for the actress, who, in her break-out, slew the role of a struggling, awkward teen. The Shaggs will be directed by Ken Kwapis (director of The Sisterhood of the Traveling Pants, He's Just Not That Into You) while the screenplay is an adaptation of Susan Orlean's 1999 New Yorker article about the the Wiggin sisters, "Meet the Shaggs." Stay tuned, it promises to be weird and charming as hell.